I've heard so many good things about Crimson Hotel in Alabang from the blogs that I constantly follow. According to Rina of Rina's Rainbow, they have a couple of wow factors which always surprise guests. 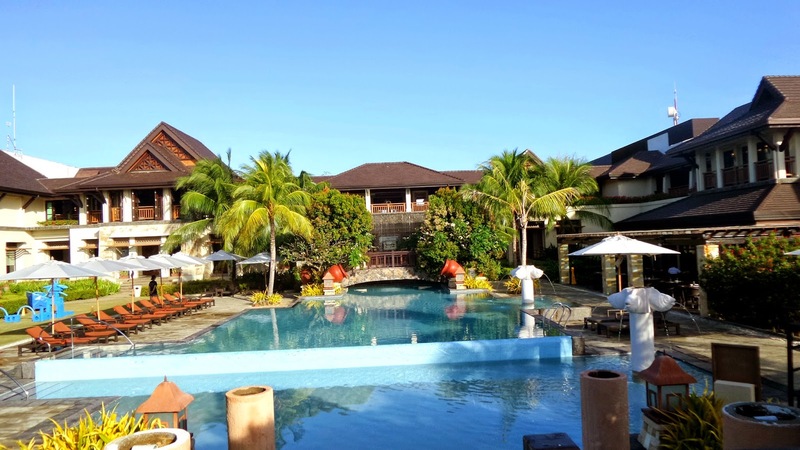 I've been meaning to have a weekend escape to the said hotel but without much luck, and Bhogs persistence going out of Manila, it never became a part of our plan. Another blogger, Je's Anatomy, wrote in here blog, "Joie and I said only one thing when we first stepped into the reception area. WOW! We could not stop admiring its elegance. It’s as if even the smallest detail speaks of grandeur – the fountain, the couches, the chandeliers and even the warm lighting." 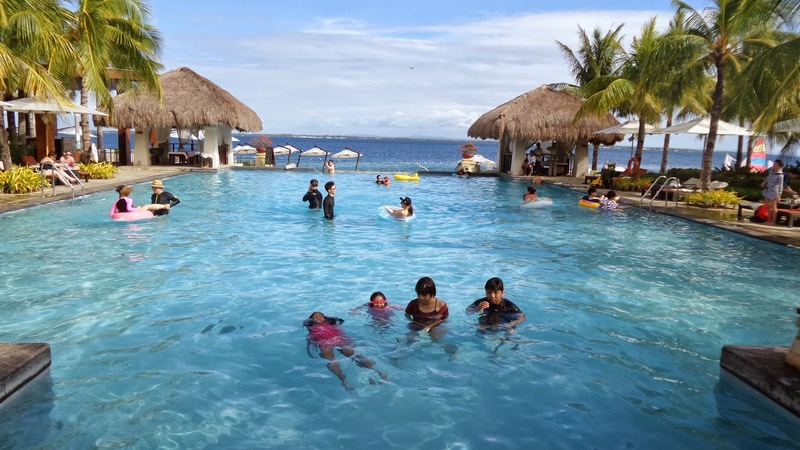 So my expectations of Crimson Resort and Spa Mactan was high and when Bhogs and I were planning for our family's Cebu get-away we made sure that we would stay in a hotel where family guests' welfare and comfort are their first and foremost priority. 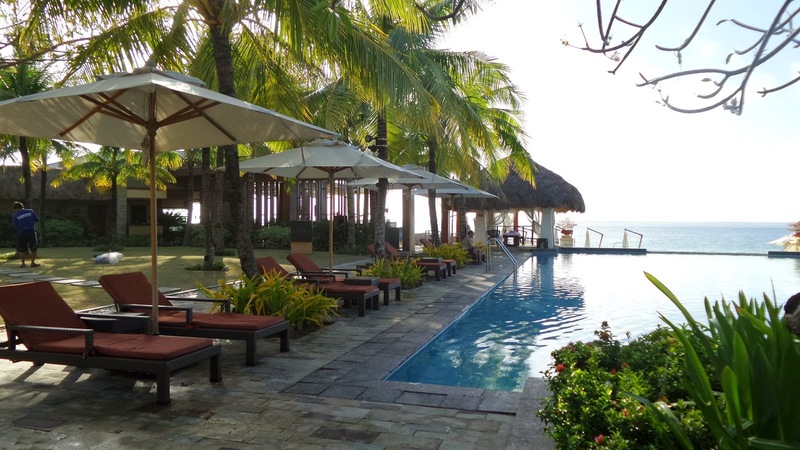 It was our second day in Cebu, what was supposedly a romantic couple escapade turned to a family's early summer get-away. 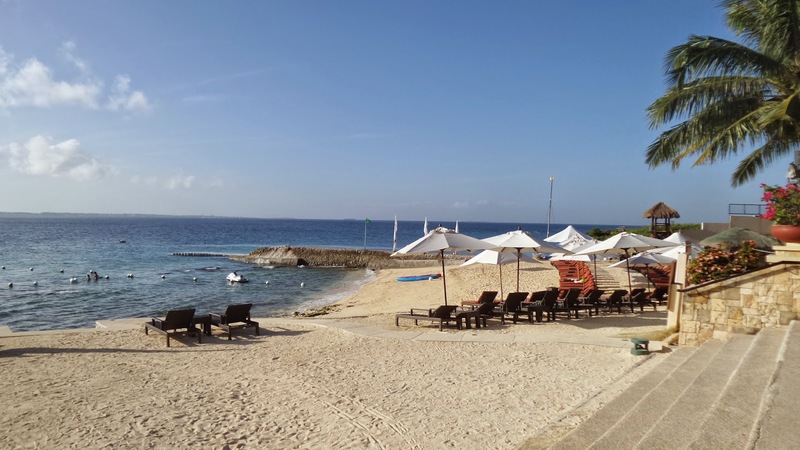 It was nearly half a year of preparation for our 19th wedding anniversary, looking for a hotel, making the itinerary for the Cebu-city day tour and making sure the all the family's need were meant. 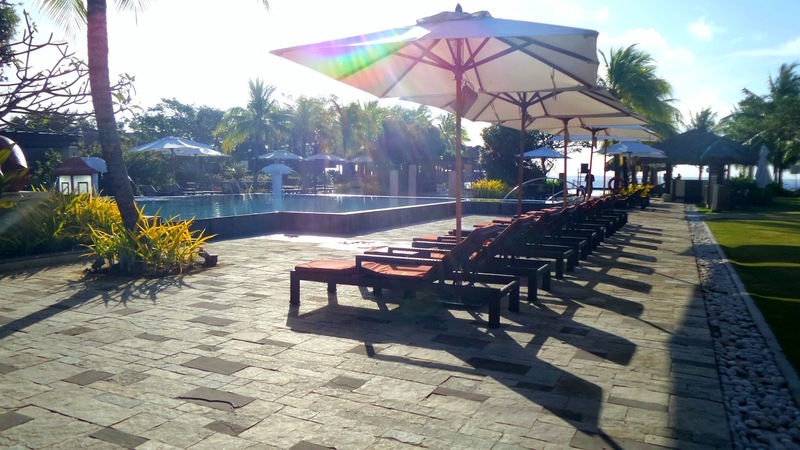 That second day, our stay in Crimson Mactan was one of the highlight of our Cebu tour. 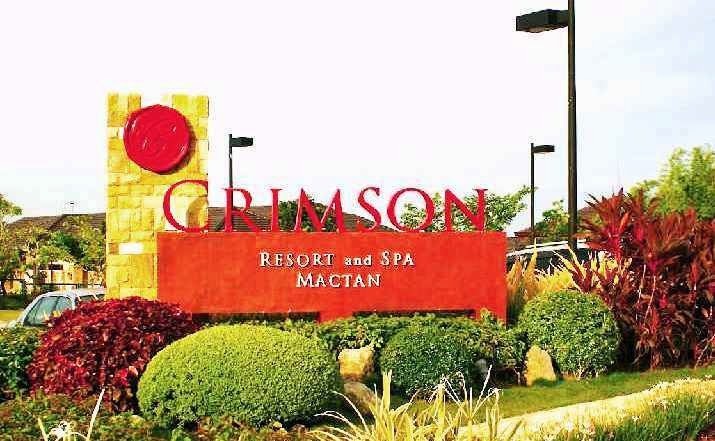 Our Cebuano friends whom we met during our visit and who assisted us as we roamed around Metro Cebu said that we made a good decision of getting Crimson as one of our accommodation, for it was one of the top-notch hotel in Mactan Island. The hotel reviewers' sound words, our friends' and many others have proven to be very true. But let me share you an honest to goodness thoughts of our family's entire view of the hotel making sure that my kids are also heard. The drive from the other hotel to Crimson was a short 10 minute ride, it however included the long way from the main entrance, traversing a subdivision until finally reaching the drop off point. It was like discovering a hidden gem of a place amidst a sleepy posh subdivision. Upon reaching, a bell man came to open the door for us and greeted us warmly, "Maayong buntag, maayong pag-abot," which meant, "Good afternoon, welcome." My parents are Visayan, so I know a few Cebuano phrases. Hearing those words just warms my heart and brought smile to my kids, and they greeted back, in English though. I felt a little bewildered since there isn't a guest lobby on sight. One of the staff then ushered us to the main lobby, which was at the second level of the main building. A bridge overlooking well-manicured pocket gardens can be seen below. Then my girls chorused with "Wow!" in high tones as we reached the building and a commanding view of the ocean and the different layers of the infinity pool beckoned. On the left, located is the hotel lobby while on the right is the stairway leading to the other venues and the pools. Straight to that is the ballroom and Tempo Bar. On the lobby, my kids went gaga over the huge four-way sungka. We came a bit early than our check-in time which is at 3 pm. 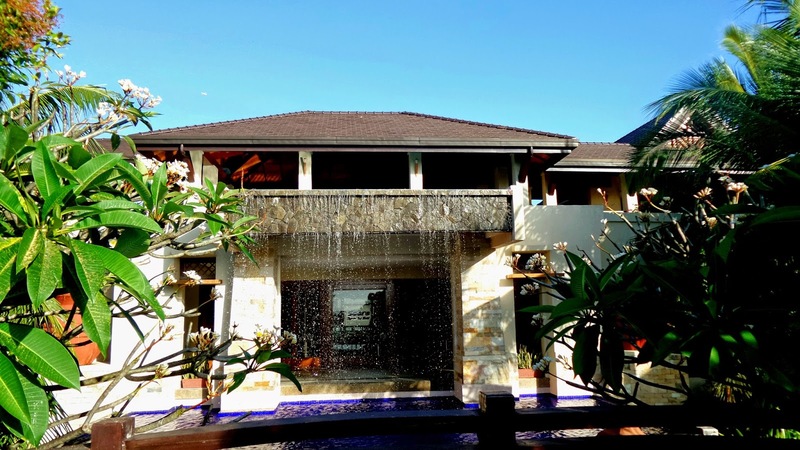 But we didn't mind waiting for our rooms to be available, the scenic view of the pools and the beach, the cool air, refreshing welcome drinks and the sungka game have definitely paved the way for an exciting afternoon. My husband, while waiting, just lounged off at the corner sofa fronting a huge window with the same sight while checking on his emails and chat forum, while me, I went ahead and came with Ms. Mia who toured me around the vicinity and just giddily clicked away with my camera. I love that there are wood works and art installations all over the hotel. The interior as well as the exterior were designed meticulously making it a haven for budding artists (like my daughter who is taking up Fine Arts) and art enthusiasts like moi. Our first stop was at Score Sports Bar which is directly below the lobby. Score is an ideal place to have a few beers, a game of 8-ball or simply to catch the latest sports matches or events. Sing your heart out in the videoke room, snack on the scrumptious selections from the menu as you enjoy the featured cocktails and mocktails. Next to it is the gym and the adjoining room for the lockers and comfort rooms. Coming out, you will be lead to the kid's activity area. Where a play ground and a play room for toddlers are available. There are certain activities per day and you'll be advised. Inside the carpeted playrooms are toys that kids could use and a teacher mans the place making sure the kids are safe and having fun. 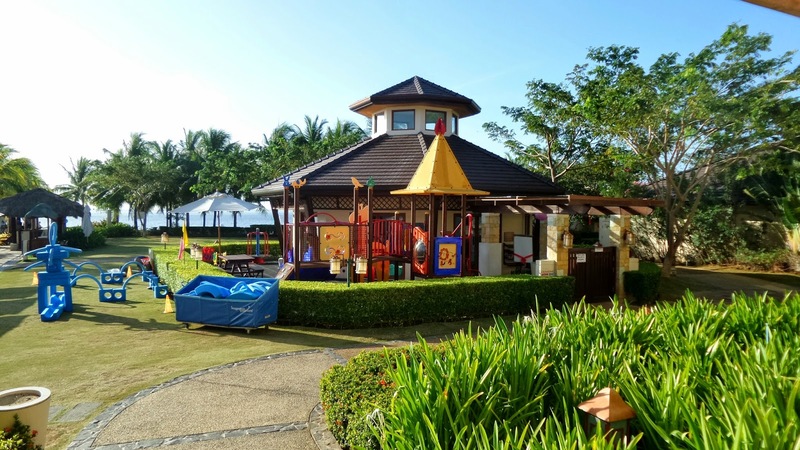 Leading to the pool areas, a grassed ground was made into an imaginative play area with huge soft blocks which children can move about and construct something from their imagination. Then there's this view of the main building which gives you a different perspective of the the view from the lobby. A normal morning scene of the pool area on a non-crowded season. The view from the left side of the pool. At the far left corner of the pool is where you can find Azure Bar. So I swam in the infinity pool, I gorged a couple of morsels from Saffron, basked in the sun at the beach, and a whole lot more. The only thing I regretted, not doing in Crimson is experiencing the beach club. Having cocktails while watching the sun go down and invibing the beauty that surrounds you as you hear the ocean waves gush, is something I would have also enjoyed. I guess there will always be something you can come back to when visiting a place as grand as Crimson Mactan. According to Mia of the PR Team, they have invested a lot on Azure. 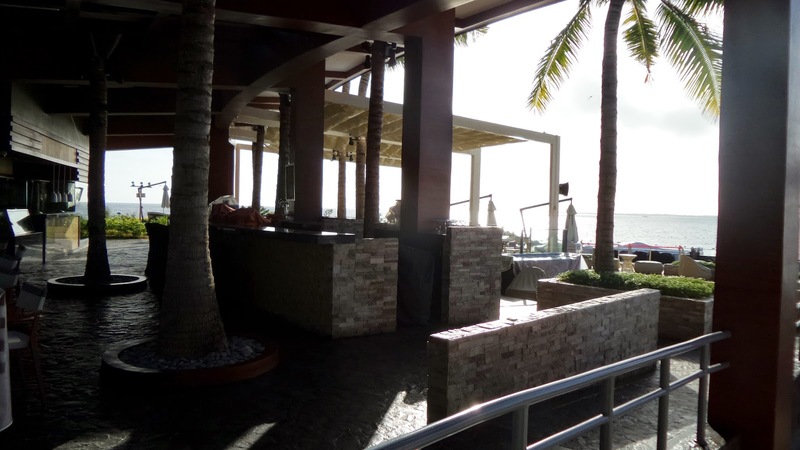 This open beach bar boasts not only of its gorgeous location, they also serve grilled food and a menu that could whet any of your cravings, paired with refreshing cocktails and beverages. The white sand beach plus the azure sea and sky... What dreams are made of! Connected to it is the beach volleyball area and said to be a venue for beach events. On both corner of the pool, on the beach side are two cabanas for spa at the beach. 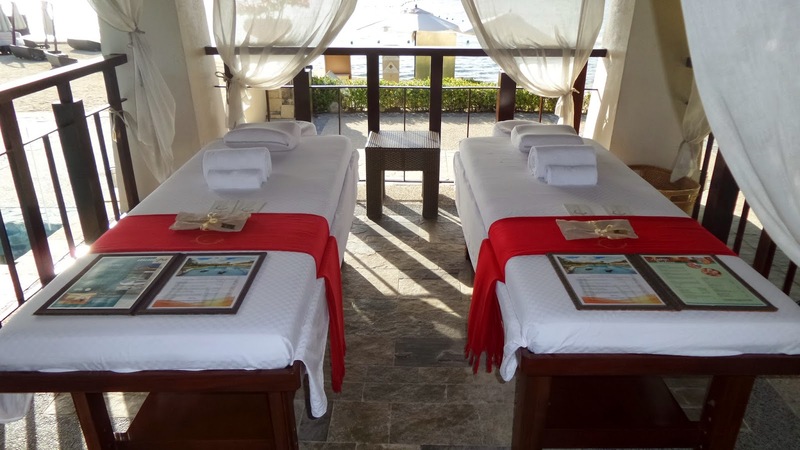 Both has two massage beds, great for couple massage after a swim. This path led us back to the lobby and it's time for us to check if our rooms were all made up and ready for us to dishevel. Below is a video taken by my 18 year-old son. Warning: amateur video, what you see is what you get. We were assigned to two interconnected rooms ( 152 and 153) where an opened wooden door connects the two Deluxe rooms. Good thing we were just on the ground floor. All the rooms on that building or area have a sliding glass door which opens up to a veranda. Crimson Resort and Spa is a sprawling 6-hectare land with 40 luxurious private villas featuring individual plunge pools and 250 guestrooms. 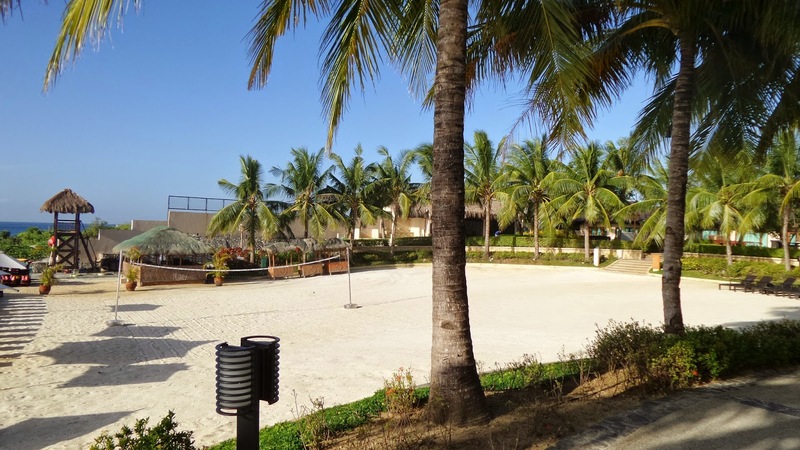 The deluxe rooms comes in 36 to 44 sqm in room areas while the other upscale accommodations such as pool villa, ocean villa, beach villa and beach casitas are beautifully maintained measurement of 115 sqm. Now, that's huge! Bigger than our home's floor area. Both the two rooms we got are measured 36 sqm, complete with amenities a 5-star hotel should have. The wooden floor panels complete the modern Asian look of the rooms. Muted, earth-toned and woody as what I can describe our rooms, and its something you can call a place next-to-home. One room has a king-sized bed, we had to add another bed for one of my kids though. "Mommy! How inventive! They are sooo cuuute," as my cried. The room next to ours has two twin bed and an extra bed for my other daughter. The mini-ref is tucked i this nice wooden cabinet under the long secretary table. I'm loving this square table lamp and the sweet though of putting fresh flowers. Coffee and tea are within our reach and complimentary fruits also welcomed us. We came here really stuffed so this what made my family's meryenda together with cookies given by Bluewater Maribago Bakeshop. Another thing that's noticeable on the table is this hotel manual, written in their frequent clients' language. During our stay, Koreans have invaded the resort and a number of Europeans, and I think we were the only Filipino guests enjoying these remarkable hotel amenities, or probably not. That we will see on the following day as we have our breakfast at Saffron. Another unique feature in the room are the wooden shutters within arm reach from the sunk-in tub that open up to the bedroom, so even if you're in the tub you can still watch the TV. My standard for a good five-star bath has to be with hot rain showers and of course clean towels, but wait they also have bathrobes and slippers, so I guess, it's really next to home. On the private verandas are this locally made tables and chairs. 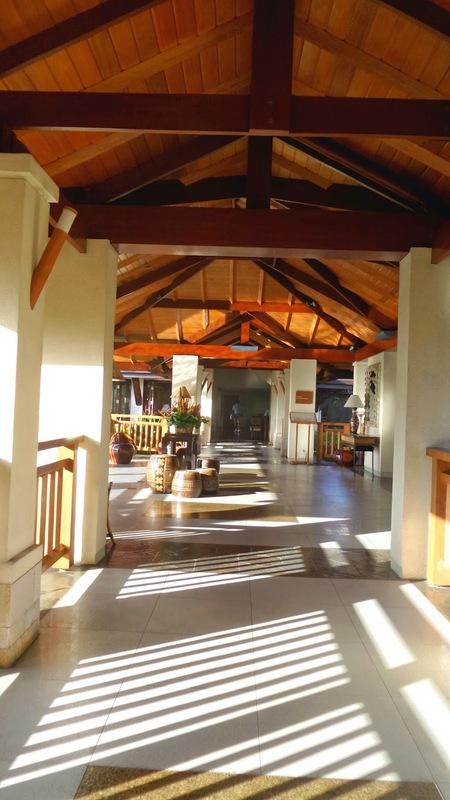 Now that we have settled in, time to experience the resort. My darling water-babies...They are all my kids you know! The not-so-fun (for them) obligatory photo. We saw this booth along with a New Zealand ice cream station near the kiddie pool. It's ever girls dream come true-to be a mermaid. You can rent an outfit, be made to look like a fashionable mermaid and be trained to swim like one, for a minimal amount. My two grade-schooler girls and I were just talking about this and what a coincidence, however they decided not to have this yet since we will be staying at the hotel only until 9 am the following day, to give way to a day of historic and food and culture immersion on the cities of Cebu. Also, do keep up with us and check out how we enjoyed our breakfast buffet at Saffron and coming out soon is my best ever spamper time at Aum Spa and Wellness Center. 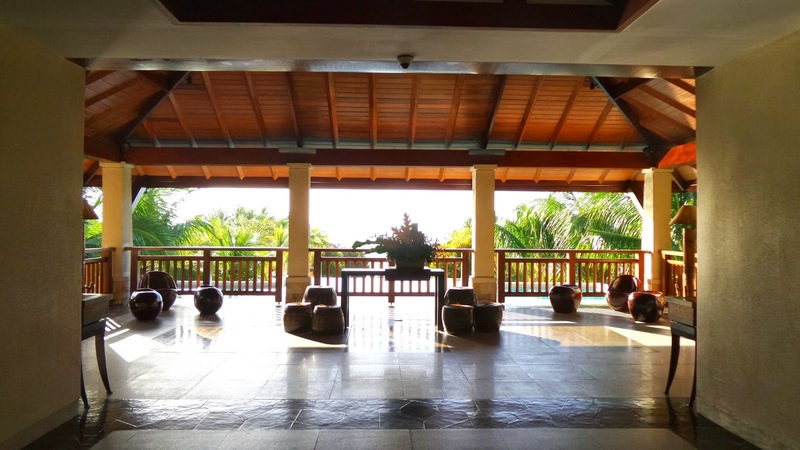 There are a lot of truly good things we loved about Cebu and this hotel definitely is one of that. If anyone would ask if I would recommend them, well, what do you think my answer would be? Of course! 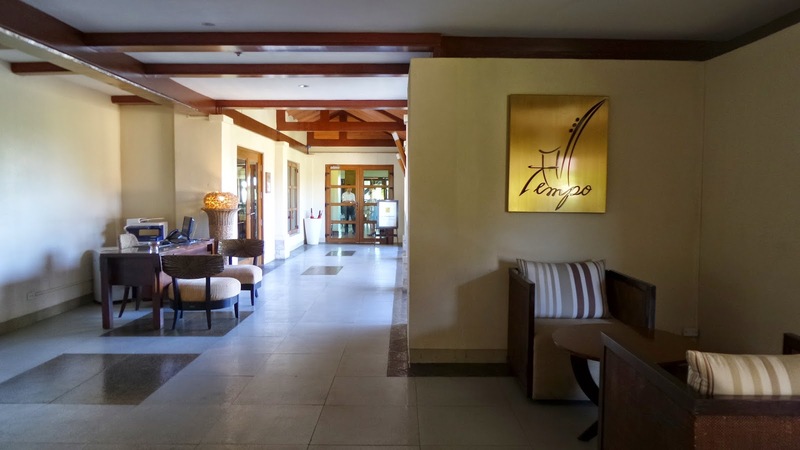 If you are looking for that family bonding moments coated with the comfort of home (yet with the luxury of a top-notch hotel) that you've been meaning to find, search no more and log on to Crimsonhotel.com and avail of their promos.